A martini is made with gin. Period. Not vodka. There's another name for that. Choose a good brand of gin to use in your martini. Badly made gin will taste horrible while good gin will be aromatic and distinctive. Martini's were made famous on good gin. 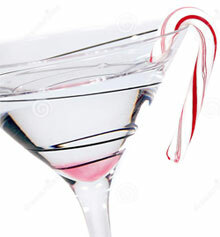 The Vodka Martini or vodkatini came much later and in purist circles is not considered remotely related to a martini. That's how coveted good gin was in those days. See our review of vodka brands to know which type of vodka you prefer in your vodka martini. Glance at the following gin brands and types. Each is crafted with distinctive aromas, spices and fruit. What is your favorite Gin Brand? 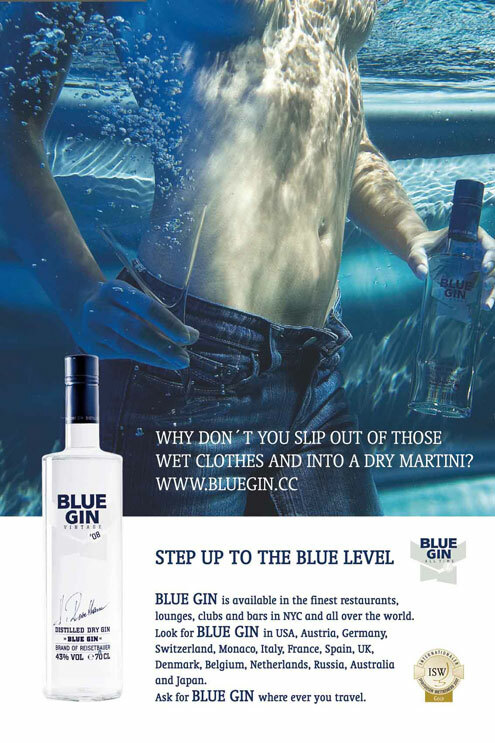 Blue Gin goes through two distillation processes: the raw material is first distilled in small copper pots (pot-still method). The pot-still method is still considered one of hte gentlest distillation methods because there is no overheating. The wheat base, called Mulan, is grown in Austrian fields. The second distillation process, called rectification, results in a distillate of 84% by alcohol. During maceration (softening and separating through soaking), the aromas are carefully extracted and authentically conserved in the grain alcohol. After a few days, the grain alcohol and botanicals are pot-still distilled again to separate the solid botanicals from the alcohol. Twenty-seven botanicals are used to create what Blue Gin calls a "fresh, elegant juniper aroma with fragrant lemony and spicy facets". Some of the spices used in the making of Blue Gin are: lemon rind, angelica root, cilantro seeds, turmeric, and licorice. They are imported from such countries as Egypt, China, Spain, Indonesia, Macedonia, The Netherlands, Romania, Turkey, the United States and Vietnam. Bombay Sapphire Gin is crisp and light with a hint of lemon. Its spice blend is well balanced. 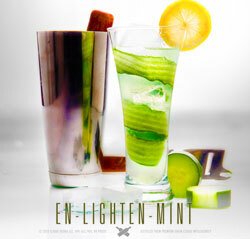 Tanqueray Gin lingers on your tongue, is spicy, fresh and evokes an herbal flavor. It is said to be a complex gin. Gordon’s Gin is straightforward and honest. You will taste juniper berry immediately followed by coriander and ending with citrus. Gordon’s is not priced expensively..
Beefeater Gin is also straightforward. You again will taste juniper berry immediately along with spices and fruit followed by lavender. Beefeater is said to not be complex or expensive. Organic Nation Gin, distilled in small batches in Ashland Oregon, contains 12 different botanicals (from plants or herbs), juniper berry, black pepper, coriander, angelica, and basil. Organic Nation Gin is only one of four organic gins produced in the world and it is the first organic gin produced and distilled on the West Coast of the United States. O-N Gin surprises the palette with a slight hint of citrus combined with a complex nose. Diane Paulson, Owner of Cascade Peak Spirits and distiller of Organic Nation Gin, says that mixologists are touting her gin as "a remarkable gin that stands outs and stands up to create unparalleled cocktails and a delectable Martini!" Gordon's - England - "by appointment to Her Majesty Queen Elizabeth II of Great Britain"
Hendrick's Gin - Cucumber, Coriander, Citrus peel and Rose petals.